Posted April 12, 2017 by sdrexler-admin & filed under Forged Documents. If you are interested in hiring a handwriting expert to help you out with a legal case or an investigation of some kind, you will likely find two types of people who will claim to be able to help you – forensic document examiners and graphologists. However, you should not confuse one for the other, as they each serve very specific purposes and have different areas of specialization. You could actually run into a lot of trouble if you seek the services provided by a forensic document examiner and select a graphologist instead. Forensic document examiners are able to take a look at a document and provide you with a wide range of professional feedback. They can perform handwriting comparisons, document authentication and signature authentication using known and reliable techniques to prove or disprove authenticity, as the American Board of Forensic Document Examiners notes. In addition, FDEs may be able to determine the approximate age of a document, reveal whether or not alterations have been made to a document, and even decipher documents that have been damaged or charred. Why put yourself through the trouble of calling on a graphologist who cannot face the scrutiny of qualifying in a court of law when what you really need is a well-trained forensic document examiner to investigate and determine the true history of a disputed document? 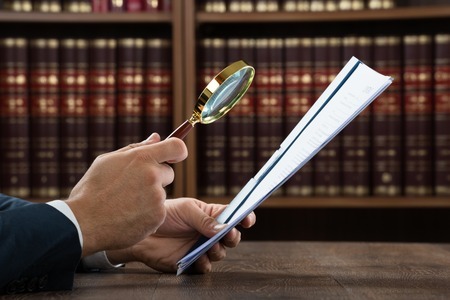 Drexler Document Lab can offer you the comprehensive document examination, verification and authentication services you are looking for and explain why you should work with us as opposed to a graphologist who cannot provide you with true and reliable opinion that will hold up in court. Call us at 844-373-9522 today to learn about how one of our highly skilled document examiners can help you.